Green Rush Packaging expands operations into emerging Canadian cannabis market. 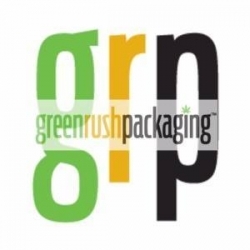 Brea, CA, March 06, 2019 --(PR.com)-- Green Rush Packaging, a nationwide provider of premium cannabis packaging, has announced its expansion into the Canadian cannabis market. The packaging company seeks to grow its sales presence and gain traction in the emerging Canadian cannabis market. Green Rush Packaging is entering its second year in the marijuana packaging space and continues to explore strategic initiatives in new markets. The progressive legal landscape has contributed to the rapid growth of the Canadian cannabis market in recent years and shows considerable promise for ancillary industries, such as packaging. Canada legalized recreational cannabis nationwide in October 2018 by passing the Cannabis Act, otherwise known as Bill C-45. According the Recreational Marijuana: Insights and Opportunities, a report published by the high profile consulting firm Deloitte, despite medical marijuana having been legal since 2001 this legislation is predicted to skyrocket Canada’s cannabis market growth. Deloitte anticipates that the Canadian recreational cannabis market alone will generate $4.34 billion in sales, with total revenue reaching up to $7.17 billion. This creates opportunities for businesses in every stage of the supply chain from retail store fronts to cultivation facilities and adjacent services. It is, therefore, a logical transition for Green Rush Packaging to get in on the ground floor of this young market and capitalize on future growth. “We are fortunate to recognize this opportunity early and be in a position to compete in the Canadian market. It’s exciting to be involved in such a historically significant time for the cannabis industry and help shape the future of international cannabis,” commented Brad Trumper, Vice President of Sales, Canadian Market at Green Rush Packaging. Longstanding manufacturing and distribution channels allow Green Rush Packaging to offer their product to Canadian customers efficiently and at low price points. This is reflected in the company’s mission statement, “ensure the highest quality products at the lowest possible price.” A strong distribution channel, coupled with short-run, in-house production as well as their overseas custom printing offering affords them a competitive advantage. Furthermore, Green Rush Packaging has taken deliberate measures to staff experts in compliant packaging and labeling laws. Noncompliance with cannabis packaging and label regulations can result in dire consequences, such as government fines and restrictions. It’s best to research local, state, and federal regulations when developing packaging and labels. Green Rush Packaging is a national provider of premium cannabis packaging meeting the needs of cultivators, dispensaries and edible brands. They service both East and West coast businesses with headquarters located in Brea, CA and a warehouse facility in Portland, TN. Green Rush Packaging’s wide product offering includes vaporizer or vape cartridges, bottles, pre roll tubes, glass jars, concentrate containers, barrier bags, exit bags, coin envelopes and child resistant products all available in stock or with customizable branding. All products are designed with shelf-life in mind, to keep any flower, oil, wax, shake, shatter, concentrate, edible and CBD at optimal freshness. Green Rush Packaging offers hundreds of sizes, styles and colors, so every brand has the option of fully customized cannabis packaging. For more information, visit www.greenrushpackaging.com.